Alberta's diverse landscapes range from mountains and foothills, to lake country, boreal forest, hoodoos, and grassland. As the terrain varies, so do the recreational opportunities. 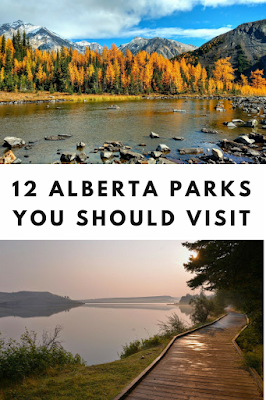 Here are twelve Alberta Parks that offer unique experiences in our beautiful province. 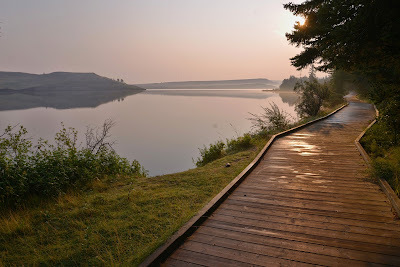 Claim to Fame: Alberta's first provincial park! 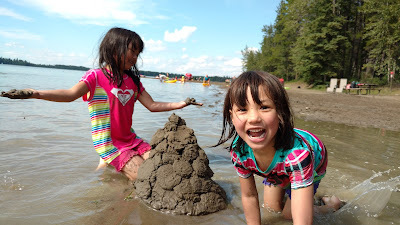 Summer Activities: Beach time at Ebeling Beach, paddling, boating, fishing, camping, bird watching on the boardwalk trail, and biking (bike to Bentley). Nearby attractions/events: Kraay Family Farm and Lacombe Corn Maze, the world's largest corn maze; and Lacombe Days, a 4-day family-friendly festival in late July. Claim to Fame: Alberta's newest provincial park! Summer Activities: Hike, camp at one of many rustic campgrounds, paddle, fish, mountain bike, quad/dirt bike, or cliff jump at Castle Falls (do so at your own risk!). We enjoyed camping, fishing, and standup paddleboarding at Beaver Mines Lake Campground and hiking Table Mountain last summer. Check out our story: Camping in Castle Provincial Park for information. Did you know there are nine designated camping areas that are free and there will be cabins for rent at Beaver Mines Lake in 2018? 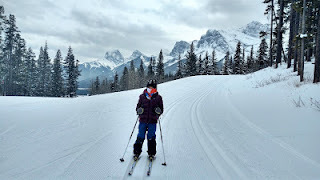 Winter Activities: Cross country skiing (20 km of trails at Syncline), downhill skiing at Castle Mountain Resort, snowshoeing, snowmobiling. Read more at Winter Fun in Castle Provincial Park. Travel tip: Lundbreck Falls is a scenic stop on the way to Castle Provincial Park. Hike 400 metres to the falls. Bar U Ranch National Historic Site (open May 14-Sept 30, 2018), near Longview, is also a cool stop; allow a couple hours for your visit. 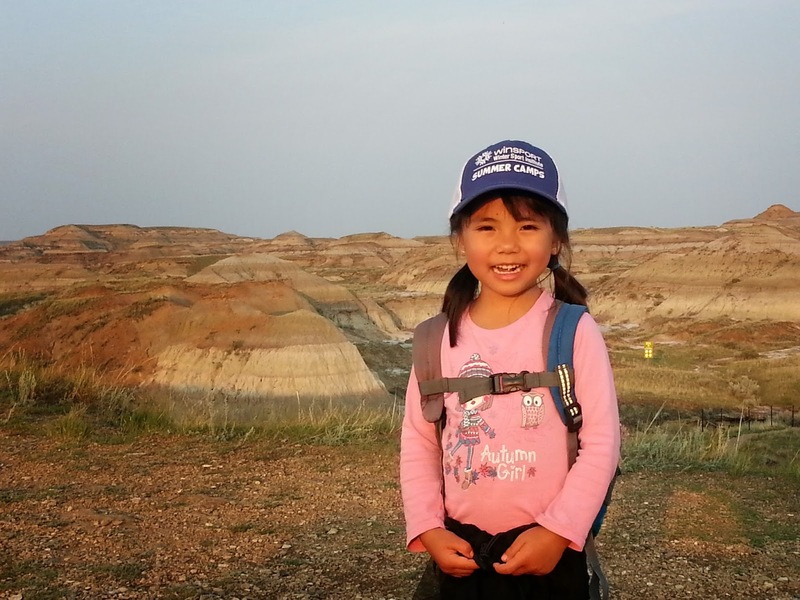 Summer Activities (May long weekend - September 30): Hike through the hoodoos, beach time, paddle the Milk River (short floats or multi-day trips possible), camping, comfort camping, check out exhibits in the Visitor Centre, interpretive programs, take a guided tour of the preserve ($). Travel tip: Stop in Lethbridge for a walk at Indian Battle Park (where you can get an up close look at the world's largest trestle bridge) or Nikka Yuko Japanese Gardens ($), or make a short detour to Coaldale's Alberta Birds of Prey Centre to see flight demonstrations and hold an owl. Read more at: Why You Should Visit Writing-on-Stone. Summer Activities: Hiking the badlands (5 trails), biking (on the 3.5 km gravel loop road), camping, comfort camping, exhibits and family shows at the Visitor Centre ($), interpretive tours and workshops ($). Programs are very high quality and include sunset photography, dinosaur digs, fossil safari and more. Off Season: The trails and campground are open year round, however the visitor centre has reduced hours in the winter. See Alberta Parks - Dinosaur Visitor Centre for their hours. Travel Tip: Dinosaur Provincial Park is NOT near Drumheller or the Royal Tyrrell Museum; it's closer to Brooks. The Brooks Aqueduct is a cool, short detour worth checking out if you want to stretch your legs. Claim to Fame: Alberta's only park of islands! Summer Activities: Camp on Big Island, paddle to secluded sandy beaches, catch huge pike, and bird watch! Beach time, paddling, boating, fishing, camping and lakefront cabins, hiking, biking (bike to town on a paved trail! ), mountain biking, bird watching, interpretive programs. 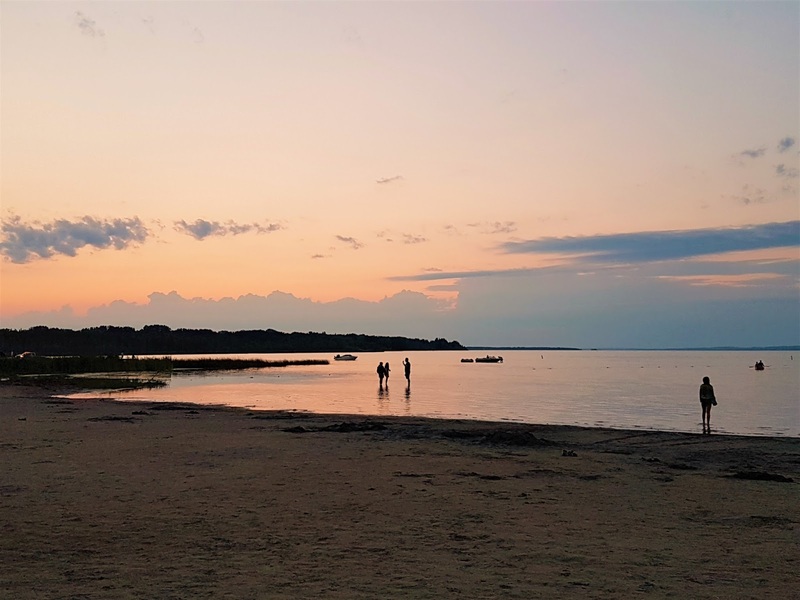 Travel Tip: The nearby town of Lac La Biche has everything you need! 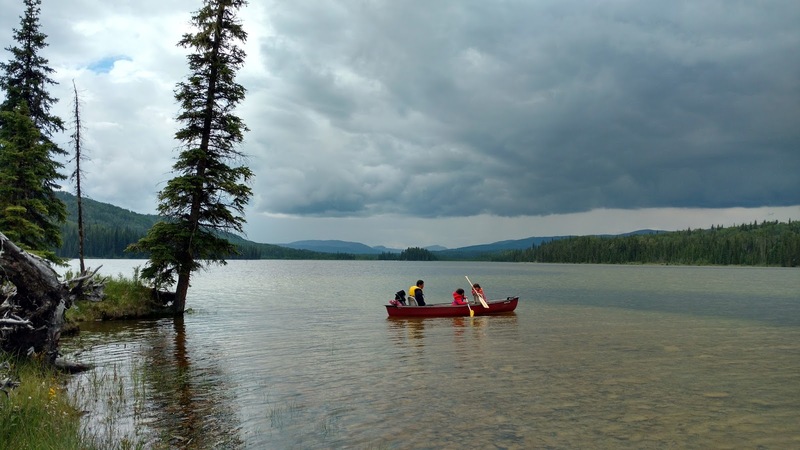 Paddlers should allow 3 days extra to do the backcountry canoe circuit at nearby Lakeland Provincial Park. Claim to Fame: The Jewel of Kananaskis Country has tall peaks, glaciers, turquoise alpine lakes, and extensive hiking trails. Summer Activities: Camp at one of several spacious, treed campgrounds; hike in to a backcountry campground; hike to summits, lakes, or waterfalls; paddle Upper or Lower Kananaskis Lakes; fish for rainbow trout, cutthroat, brook trout, and bull trout (note that cutthroat and bull trout are catch and release! 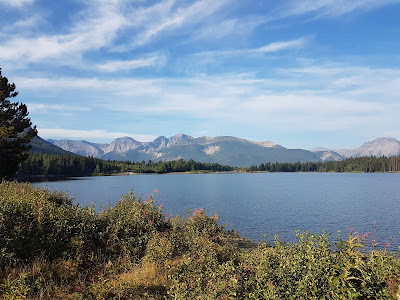 ); mountain bike or bike the Peter Lougheed paved trails; stargaze; check out the exhibits and interpretive programs at the Peter Lougheed Visitor Centre; or attend an awesome evening performance at Elkwood Amphitheatre. Winter Activities: Cross country skiing (Elkwood Amphitheatre and William Watson Lodge are beginner friendly; Pocaterra, Boulton Creek, and Peter Lougheed Visitor Centre, are intermediate; and Elk Pass has more challenging terrain), snowshoeing, and winter backcountry camping (The Point, Rummel Lake, Elbow Lake - until end of November only). Claim to Fame: David Thompson Country has a rich fur trading history and is named for a famous cartographer and explorer. 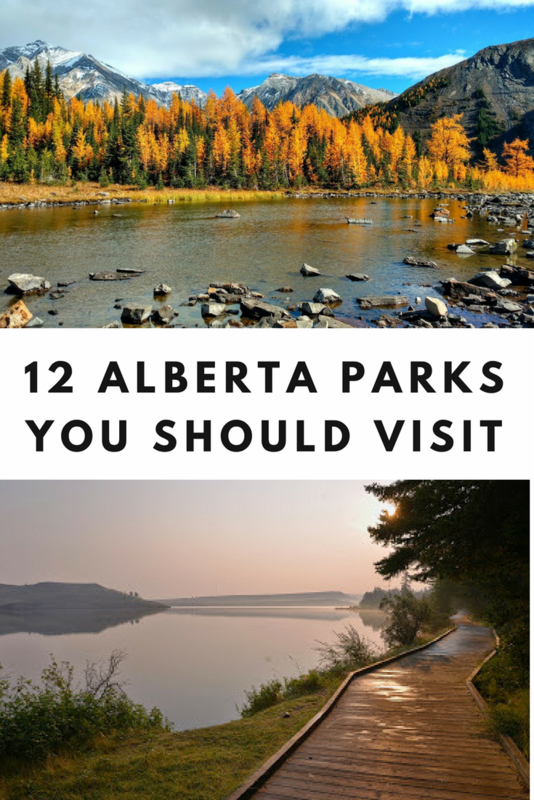 There are several Alberta Parks here; take a few days to check them out. Summer Activities: Enjoy hiking, paddling, fishing, rustic camping, climbing, mountain biking, quadding, and horseback riding. 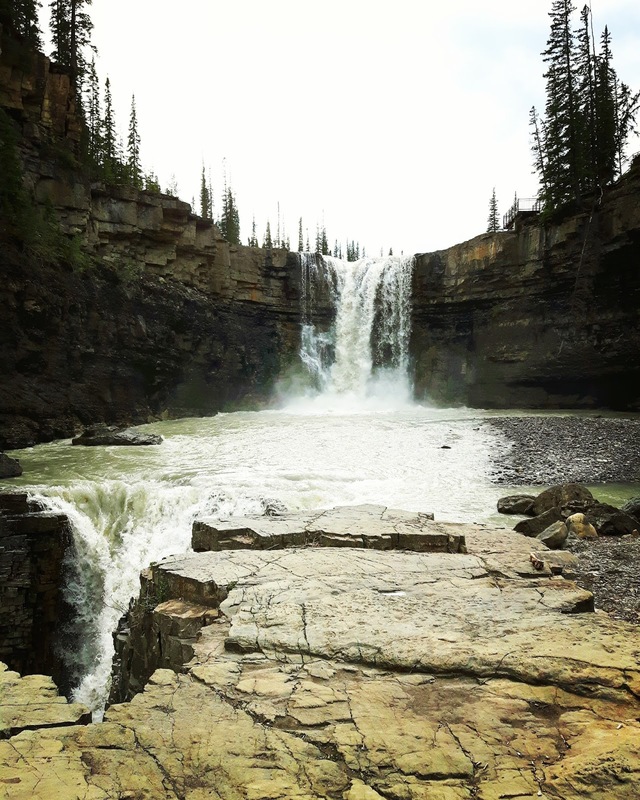 Paddle and look for loons, fly fish Ram River or Shunda Creek, take the kids fishing at one of the many stocked ponds and lakes in the region, check out two-tier Crescent Falls, or walk across the longest suspension bridge in Alberta on Siffleur Falls Trail. Travel Tip: Stop in for pie at the Nordegg Visitor Centre! History buffs will enjoy a tour of the Brazeau Collieries Mine Site and Nordegg Historical Museum ($, summer only). There's also a self-guided walking tour of Historic Nordegg. Claim to Fame: The highest point between the Rockies and Labrador has unique flora and fauna as it was unglaciated during the last Ice Age. It's also a Dark Sky Preserve, so bring your telescope! Summer Activities: Beach time at Elkwater Lake, paddling, boating, birdwatching, horseback riding, fishing, hiking, biking, mountain biking, camping, cabins, backcountry camping, stargazing. Winter Activities: Horseback riding, ice skating, sledding/snow luge, cross country skiing, fatbiking, snowshoeing, ice fishing, kicksledding, downhill skiing at Hidden Valley Ski Resort, winter camping at Elkwater, Spruce Coulee, and Reesor Dock (backcountry); stargazing. Read more at: 10 Things to Do in Cypress Hills Provincial Park This Winter, 5 Winter Fun Facts About Cypress Hills Provincial Park, Stay in a cozy hut at Cypress Hills this winter! Travel Tip: Stop in Medicine Hat to fuel up and get a bite to eat. Claim to Fame: The 4 km Jarvis Creek Canoe Route connects five lakes in the park. 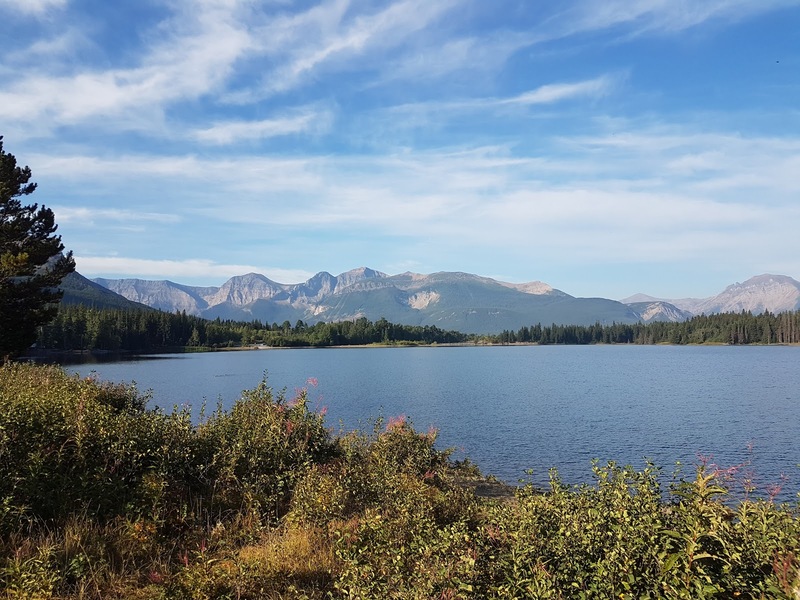 Travel Tip: Hinton's bike park and 3 km Beaver Boardwalk at Maxwell Lake are worth checking out on the way to Switer Park. Claim to Fame: This legacy site of the 1988 Calgary Winter Olympics is a year round mountain playground used by locals and visitors alike. Summer Activities: Hiking, trail running, mountain biking, mountain bike skills park, disc golf, roller skiing/biathlon, orienteering. Grassi Lakes is a popular hike to beautiful green lakes. 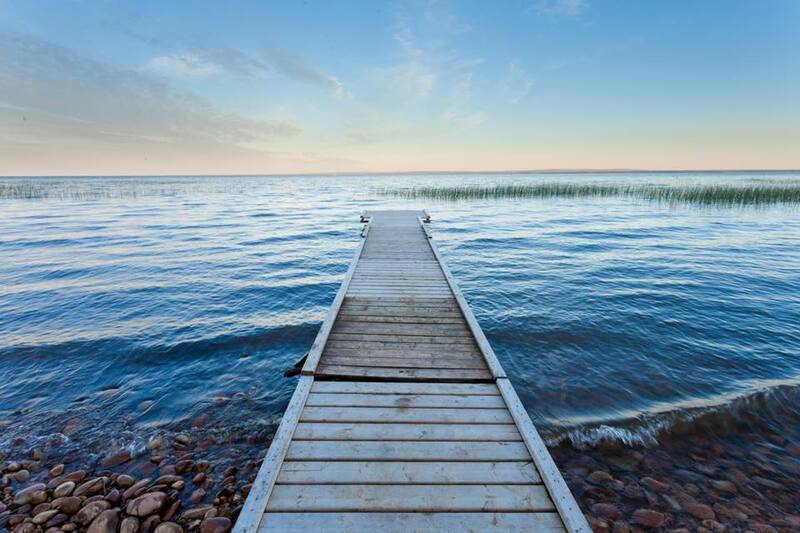 Claim to Fame: Beautiful sandy beaches on Alberta's largest auto-accessible lake. Summer Activities: Hike to sandy beaches, sand dunes, and scenic viewpoints. Check out the Boreal Centre for Bird Conservation at the Visitor Centre. 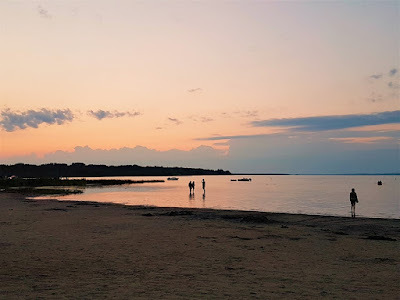 Enjoy beach time (many say Lesser Slave Lake has the best beaches in Alberta! 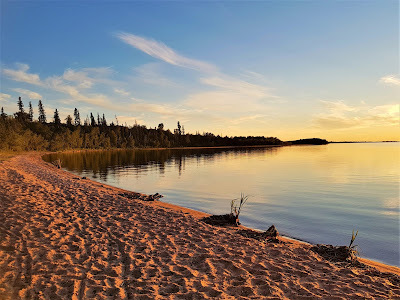 ), paddling, fishing, camping, mountain biking/biking, golfing, horseshoes, birding (look for tundra swans, western grebes, and songbirds), and interpretive programs. Claim to Fame: Beaches and a great network of bike trails! 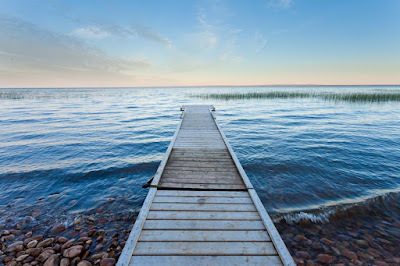 Bike the Amerada Trail (10 km) around Crimson Lake or bike in to Rocky Mountain House. Travel Tip: Don't miss nearby Rocky Mountain House National Historic Site and Wilderness Village's free petting zoo! 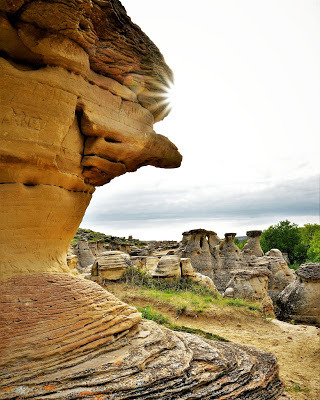 Red Rock Coulee Natural Area, 50 km southwest of Medicine Hat, has some of the world's largest "spherical sandstone concretions" (naturally eroded round rocks up to 2.5 m in diameter) set amongst coulees and hoodoos. What are your favorite Alberta Parks?